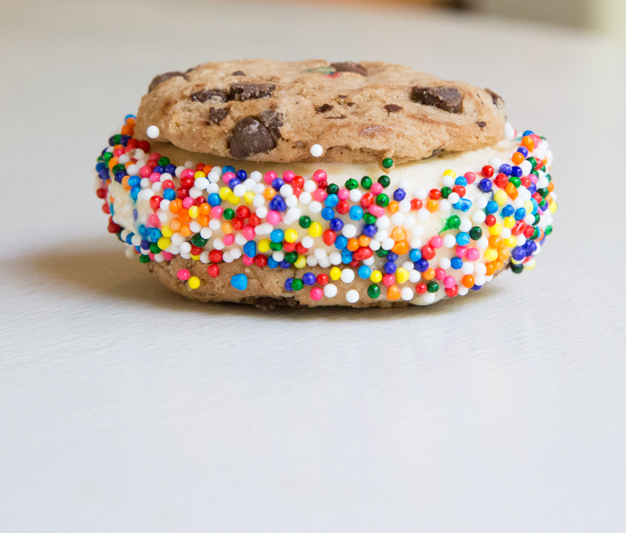 Who knew making a homemade ice cream sandwich could be so simple! I’ve teamed up with Dollar General and CHIPS AHOY! 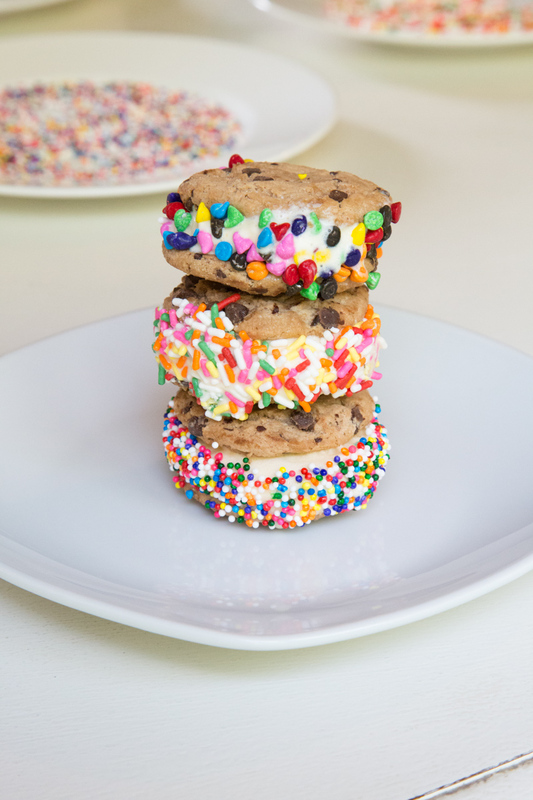 to show you just how easy it is to make your own ice cream sandwiches at home! Rrrroooooolllllllled in a pile of sprinkles. …Whole new level, my friend. 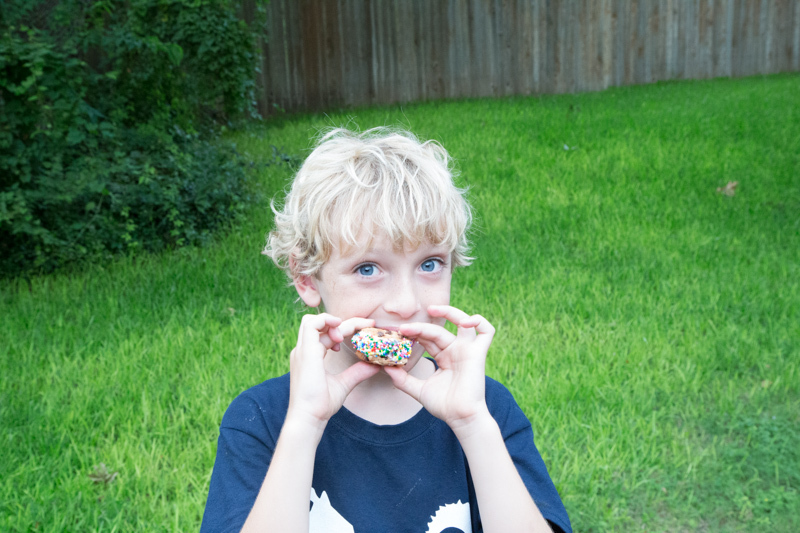 But before we get to the recipe, I’ve got a very important tip to share for making the perfect ice cream sandwiches and how to get the kids involved too. 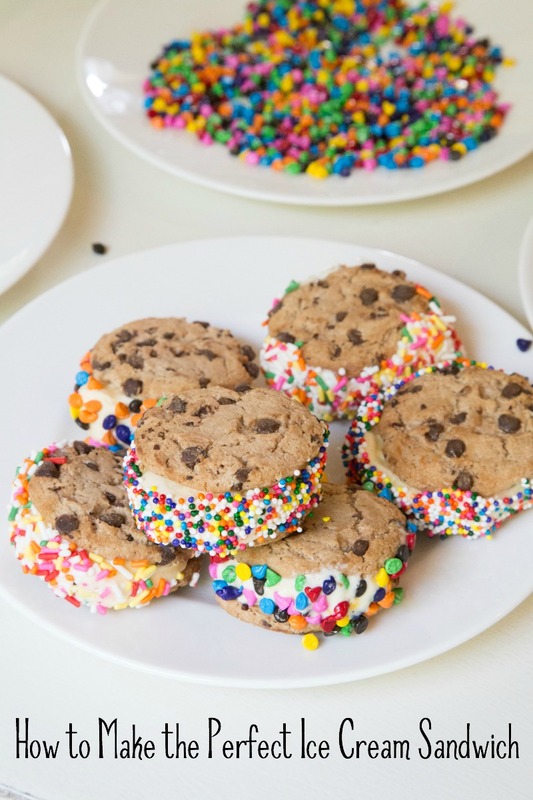 I love that you can easily host a late night dessert block party where everyone can join in the tasty fun, while you don’t have to worry about spending too much when you get your ice cream & CHIPS AHOY! cookies from Dollar General. That’s a win-win…neighbors love you and you don’t have to worry about burning a hole in your pocketbook. Let the ice cream soften just enough to scoop it out into a cylindrical freezer-safe plastic cup. Then scoop it into the cup and press tightly. Before it gets to soft, toss the cup into the freezer so the ice cream can harden up again. Place a plastic cutting board into the freezer too. Slide the ice cream out onto the cutting board that was in the freezer. 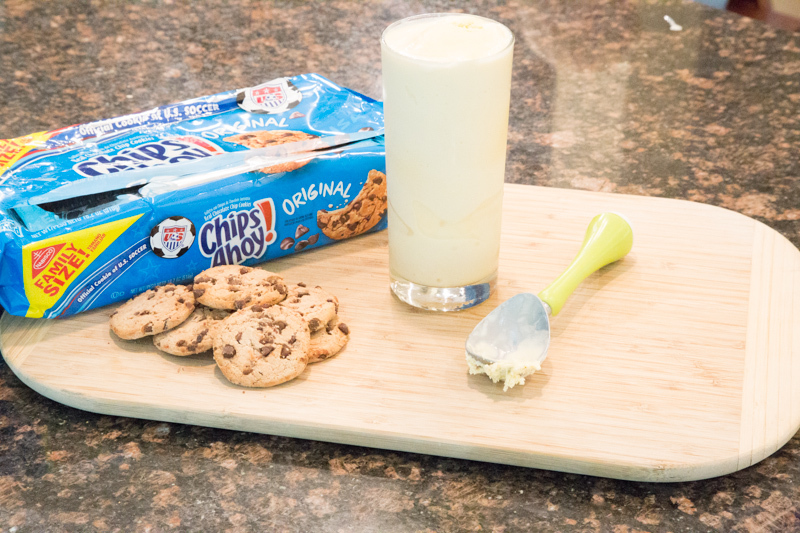 Quickly slice the ice cream into thick slices and sandwich between the CHIPS AHOY! cookies. The put the ice cream sandwiches back into the freezer for at least an hour. When you are ready to eat them, set out the sprinkles onto plates or shallow bowls. What Kind of ‘Ahoy!Wich’ Ice Cream Sandwich are you making this summer? Let the ice cream soften and then add to skinny cylindrical glass/cup that is freezer safe. If you don’t have a cylindrical glass, just add softened ice cream in between 2 cookies and return to the freezer. Add the cylindrical glass to the freezer for about 30 minutes. Add a plastic cutting board to the freezer as well. Remove the glass and run a little warm water over it to loosen the ice cream from the edges. Remove the cutting board from the freezer and slide the ice cream ‘cylinder’ onto the cutting board. Quickly slice ice cream and make sandwiches with the cookies. Put the cookie sandwiches on a freezer safe plate and return to the freezer. Freeze for about an hour, or until the middle is hardened. 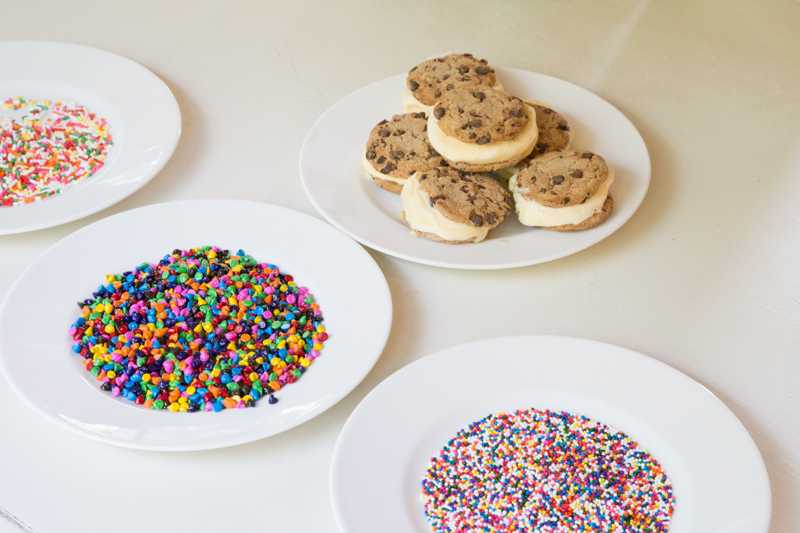 When ready to add sprinkles to the sandwiches, add the sprinkles to plates or shallow bowls. 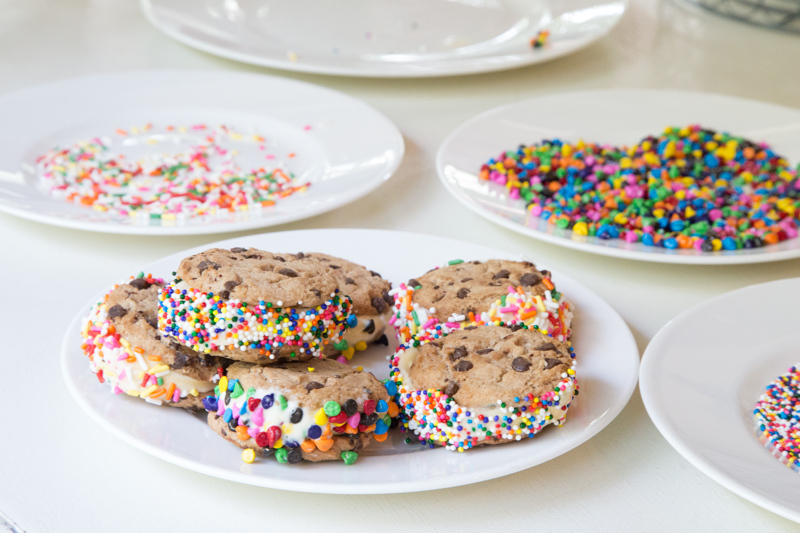 Take the cookie sandwiches out of the freezer, roll in the sprinkles and eat. Disclosure: This post was sponsored by CHIPS AHOY! And Dollar General, and I was compensated to write it. Regardless, what I have written is my own opinion and experience.